The Cultural Dish: My French Themed Birthday! Rather then dwell on the fact that our travel plans will be on hold until at least next year, I figured I would bring France to myself today! 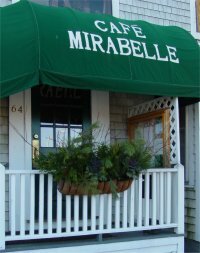 To start, David took me to Cafe Mirabelle in Portsmouth, NH. I did not want to take any photos inside because it is a small and intimate setting (only about 10 tables), but it is absolutely amazing! They serve country French cuisine, and the chef Stephan, is actually from France. He met his wife while she was traveling in France and they returned to the US together and have had a successful little restaurant ever since! Profiterole - French vanilla ice cream in a pastry topped with a homemade Grand Marnier hot fudge sauce. Now, for my birthday cake, since I actually make cakes as a part-time job, I usally get stuck baking my own! You can see last years cake here: FRIENDS themed B-Day Cake. This year though, I told David that I did not want to do anything crazy and was just going to buy dessert! But, I did not get a cake from just anywhere. 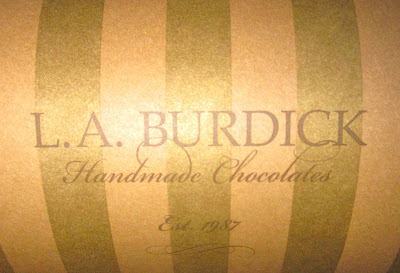 No, I purchased my cake (and other desserts) from one of my favorite chocolate shops, L.A. Burdicks! 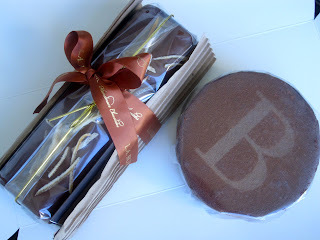 Since I am not in Boston much these days, I decided to stock up and ordered two if their pastries in cake form - their chocolate birthday cake and the hazelnut orange cake, along with an assortment of macaron flavors (I will be working out extra this week)! The flavors included ginger, coffee, pistachio, strawberry, chocolate, lavender, and citrus, and they are just to die for! So although David and I may not be able to fly to France today, I have to say that this has been one of the best birthdays spent pigging out on my favorite French foods! HAPPY BIRTHDAY Elyse! This looks like it was an amazing trip, I hope to go there someday too. I hope your birthday is amazing! Looks like a darling way to celebrate. Happy Birthday!!!! A special way to celebrate! Happy Birthday! Great way to celebrate. 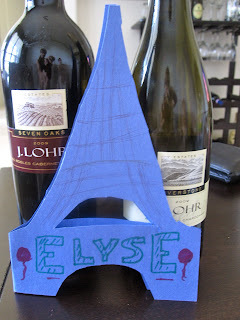 Such lovely memories of Paris and a cool birthday theme! Happy Birthday! 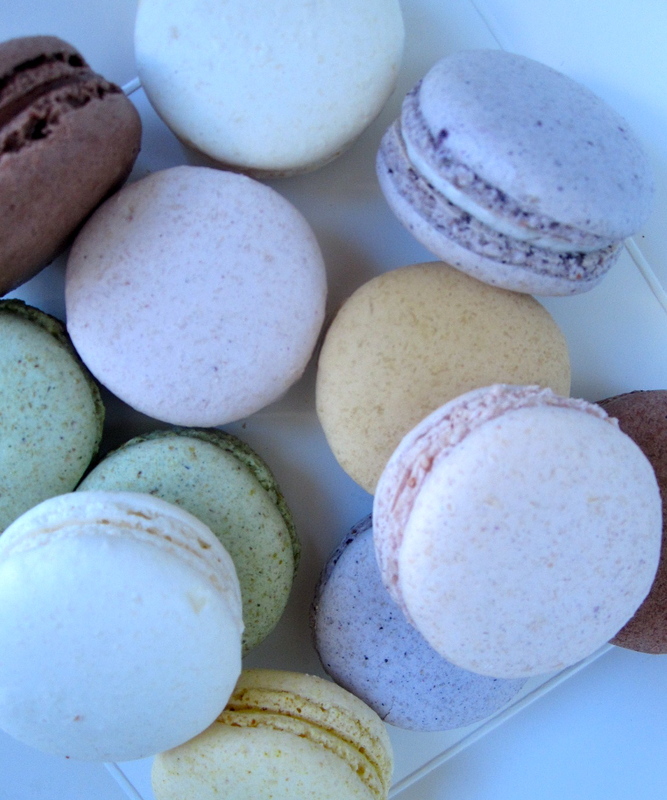 I love France and Paris also. I miss it terribly and keep telling my husband we need to plan a trip. Hope you get to go back soon! Happy Birthday! I love the theme you chose and your boyfriend is a sweetie.... The dinner sounded delish! Belated Happy Birthday and thanks for the virtual trip to Paris! 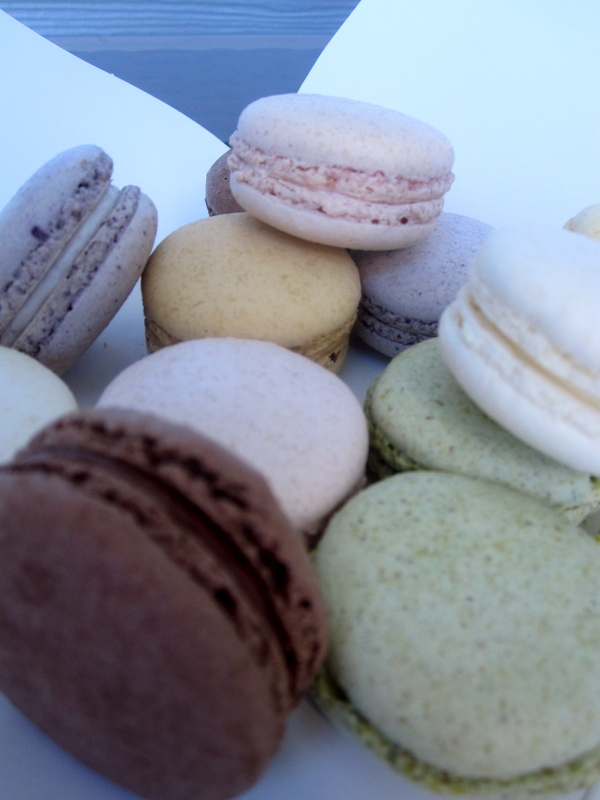 Glad you didn't have to make your own b'day cake - those macarons look fab!